Solo recording... a call to national & personal revival. 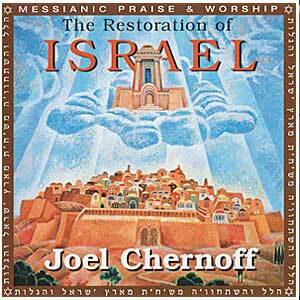 Recorded in 1999, and produced by Grammy award winner Bill Cuomo and Yochanan Ben Yehuda, this recording is Joel Chernoff's first solo recording outside of his work with the pioneer Messianic music group Lamb. 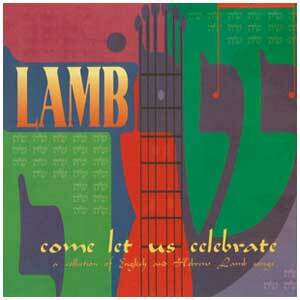 Many of the songs on this CD have become classics within and outside of the Messianic community. One of the favorites on this recording is Jew and Gentile. This has become an anthem of Jewish and non-Jewish unity in the Messiah Yeshua (Jesus). Several songs were written in a period of life in the 1990's when Joel was experiencing a fresh work of the Holy Spirit in his life. You can hear the brokenness expressed in songs like Holy Unto You, Lay Your Hands On Me, There's a Wind That Blows and others. Filled with heart-felt Messianic praise and worship, you will enjoy this high-quality production of The Restoration of Israel both spiritually and musically.